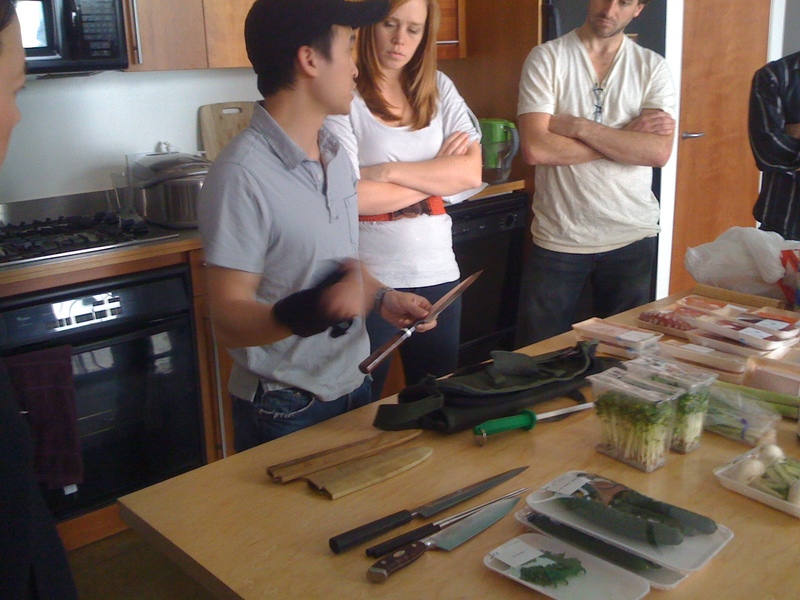 This past weekend I took a Sushi making class with my friend Bryan Yeung while visiting San Francisco. 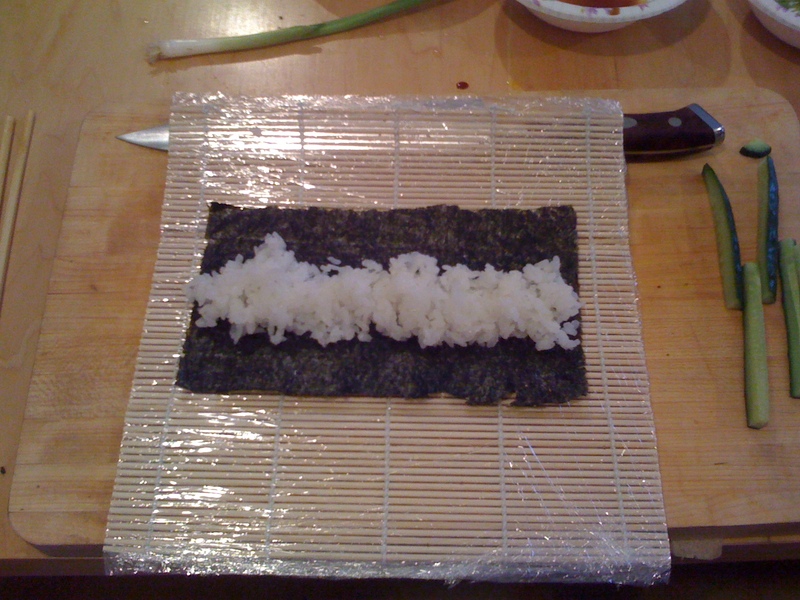 First things first, sushi is HARD work. 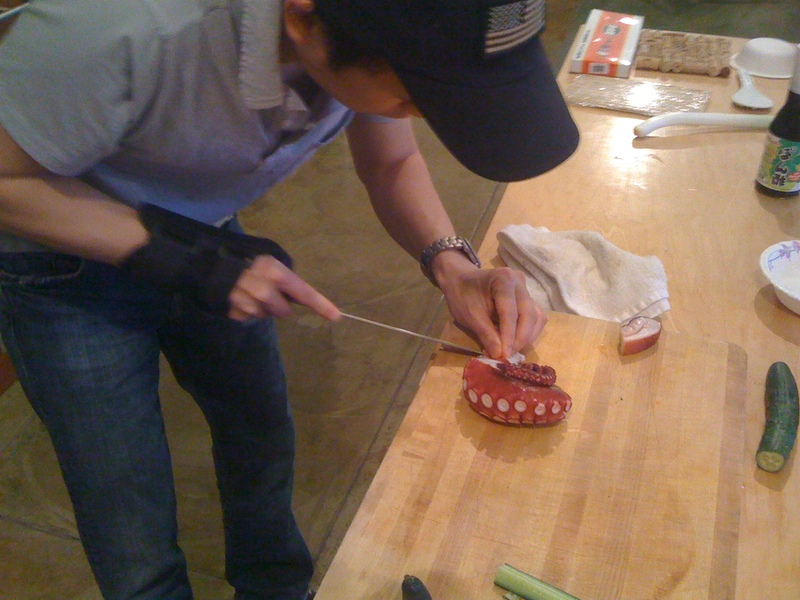 Bryan was prepping me about the importance of knife technique and such before class and I mainly tuned out figuring this would be easy…it’s not. 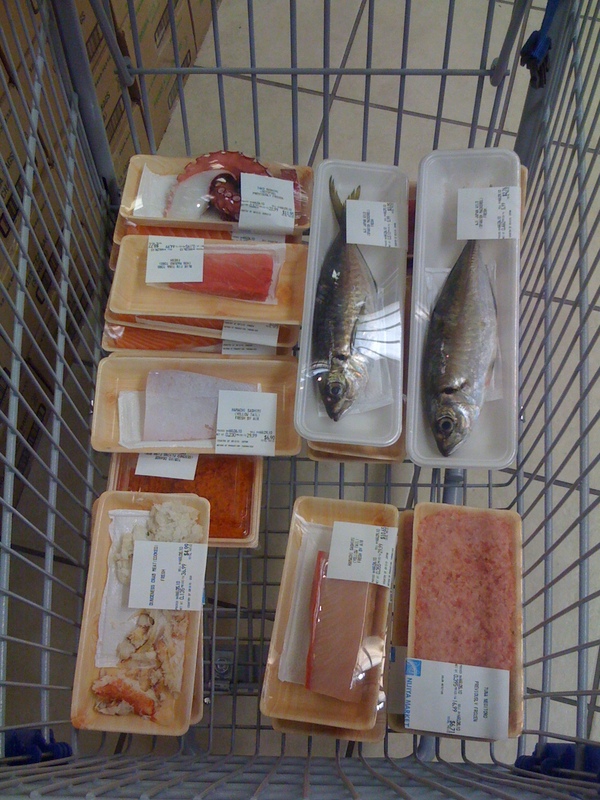 First stop for us was the market to pick up the fish and other ingredients. 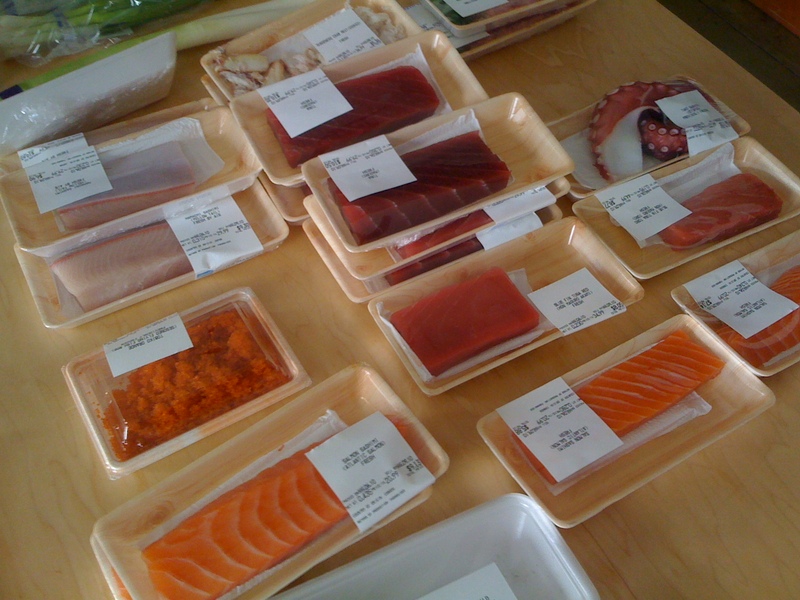 I learned about how to pick out fish, what to look for and such. 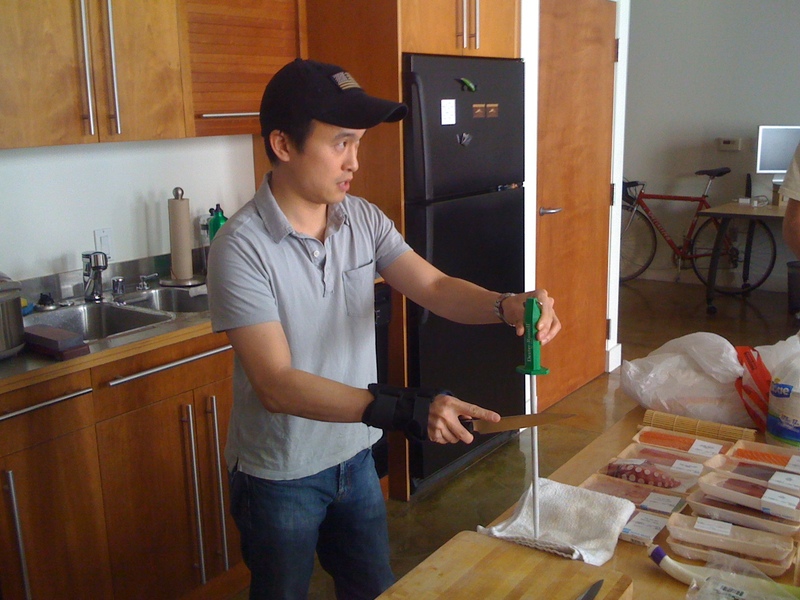 Then we headed to the offices of a startup called Foodzie(an Etsy for artisan foods) for class. 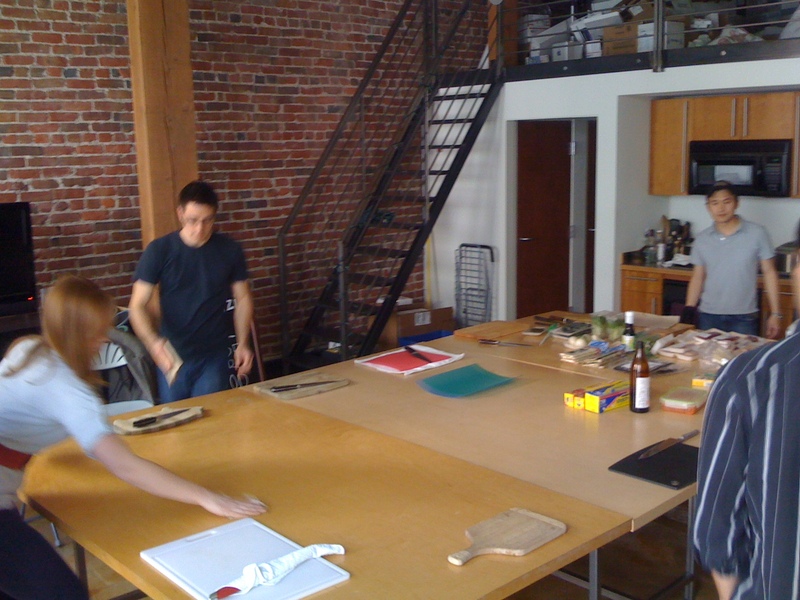 Eight others were ready and waiting for us to take the class which they found through a site called unclasses.org which lets people find classes on topics they may be interested in. 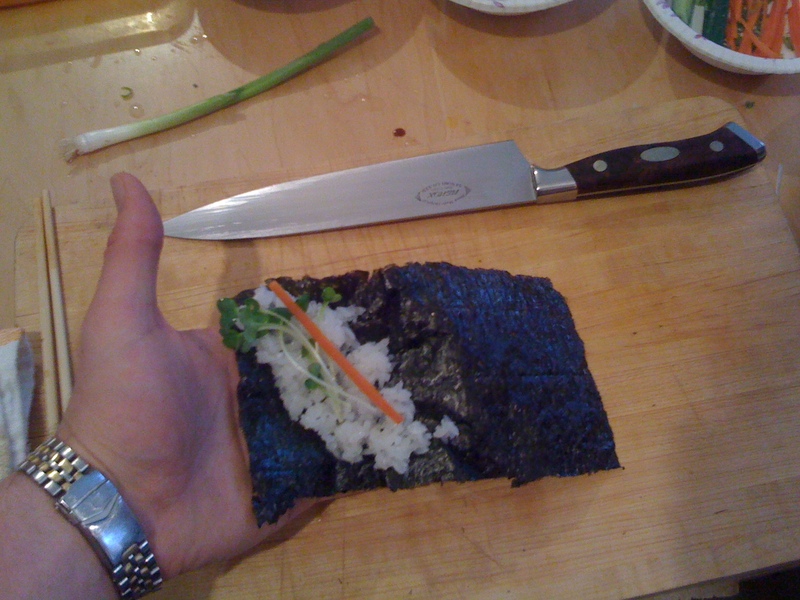 Kind of (un)community college courses. 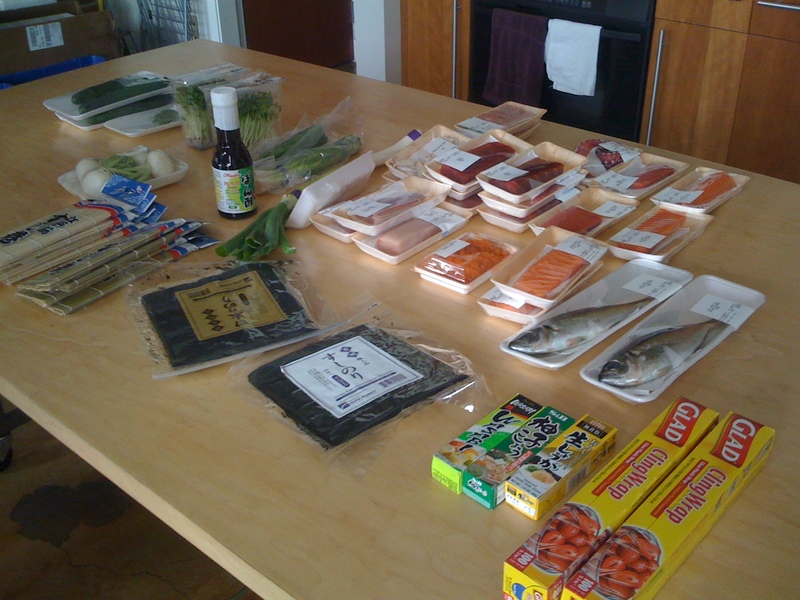 The first hour was all about prep work. 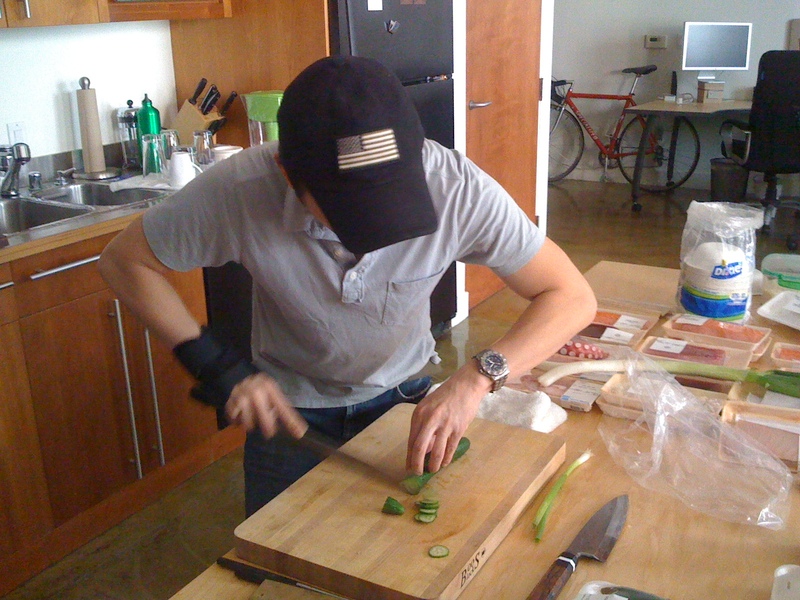 Bryan stressed knife technique, knife safety and how to anchor your cutting board properly…basically so we didn’t inadvertently make a human finger crunch roll. 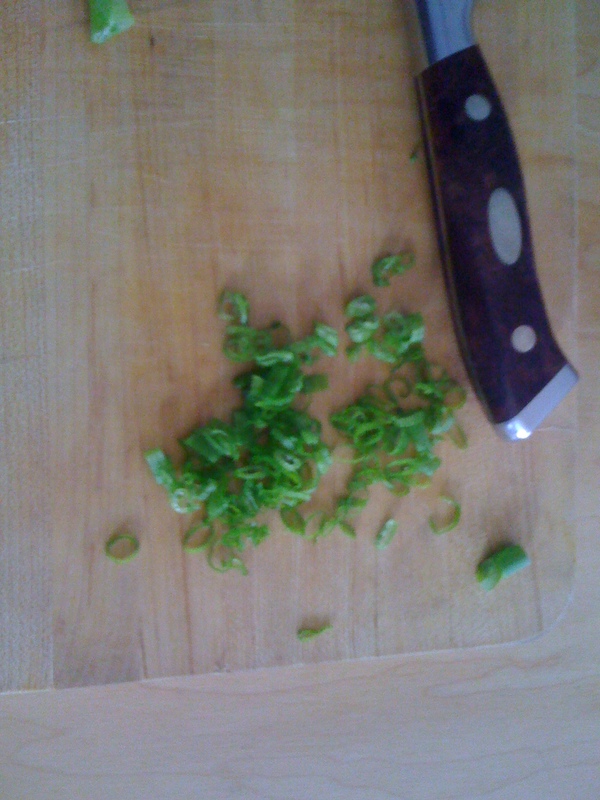 I still managed to cut myself two minutes into dicing some green onions. 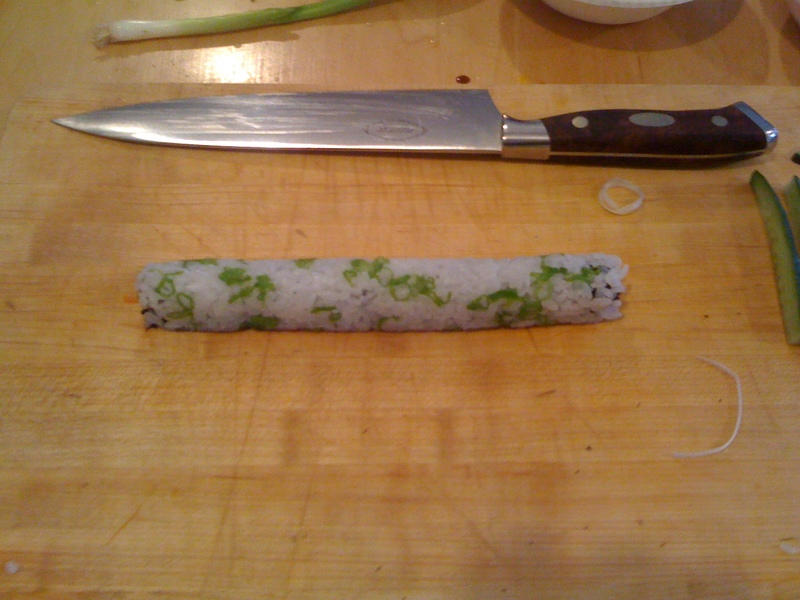 The next hour consisted of cooking the sticky rice(not that difficult with a rice cooker) and more knife technique while cutting vegetables and fish. 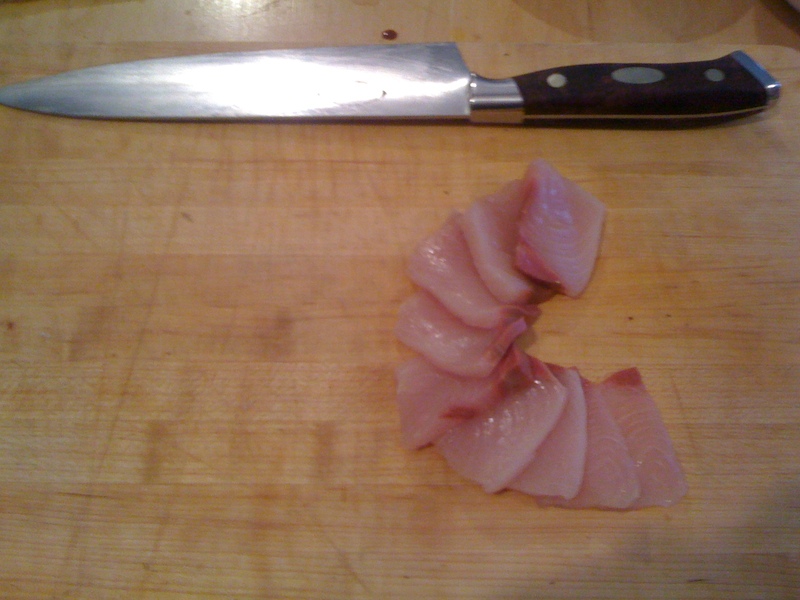 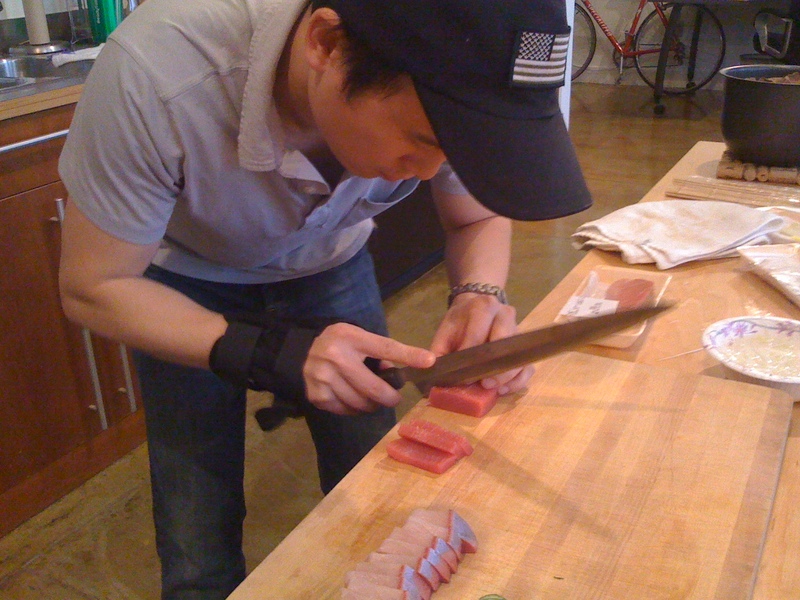 If you haven’t picked up on this yet, sushi is mostly about proper knife work and takes years to master. 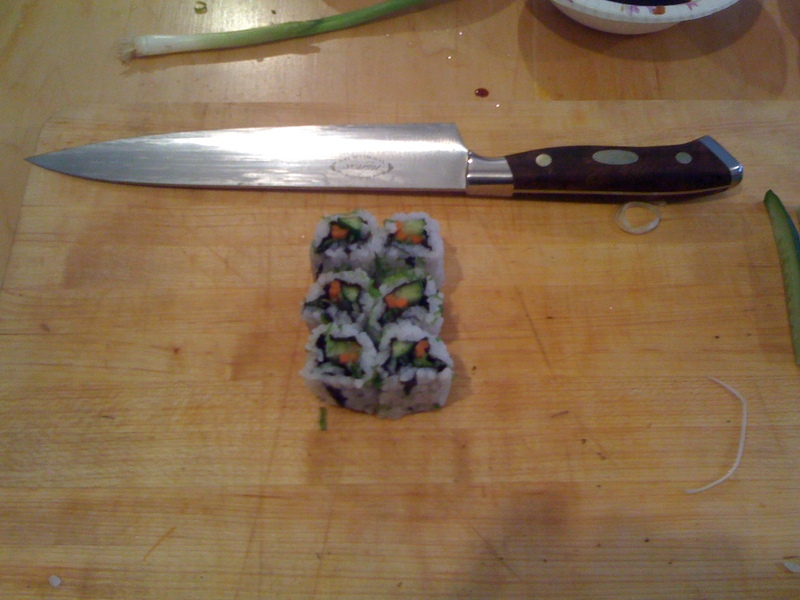 I found this is no joke, there is a very specific way to successfully cut a fish vs a green onion or a sushi roll vs a cucumber. 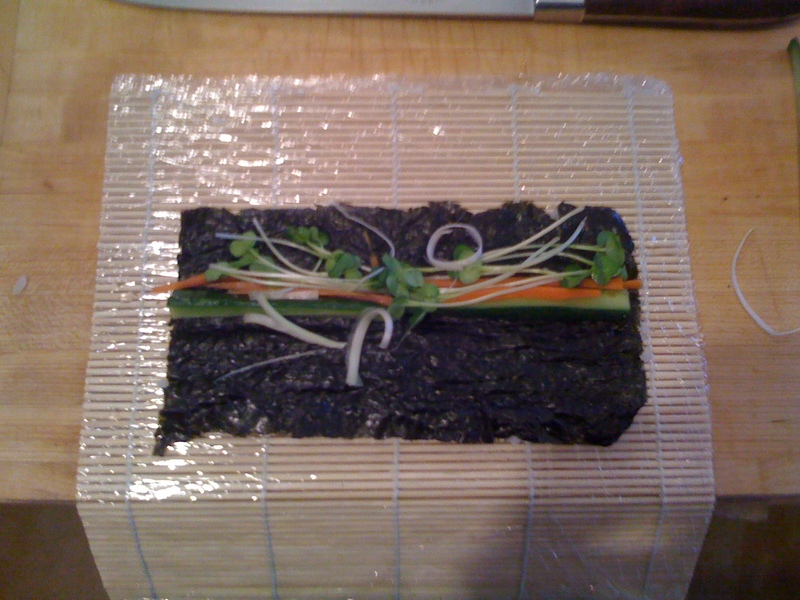 The rest of the class focused on how to make various types of rolls and sampling different kinds of fish. 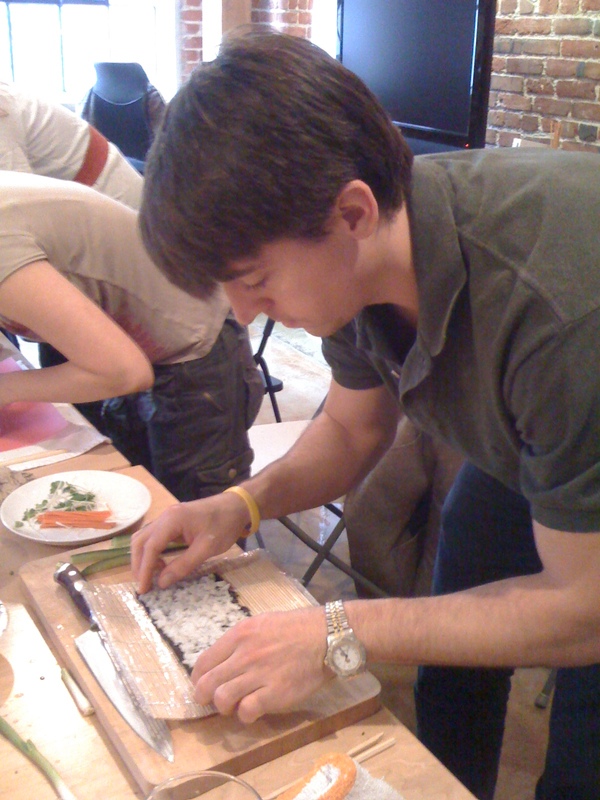 The main things I took from the class were that great sushi consists of great ingredients, great knife work, and a sushi chef that has spent years perfecting his technique and the balance of flavor and presentation. 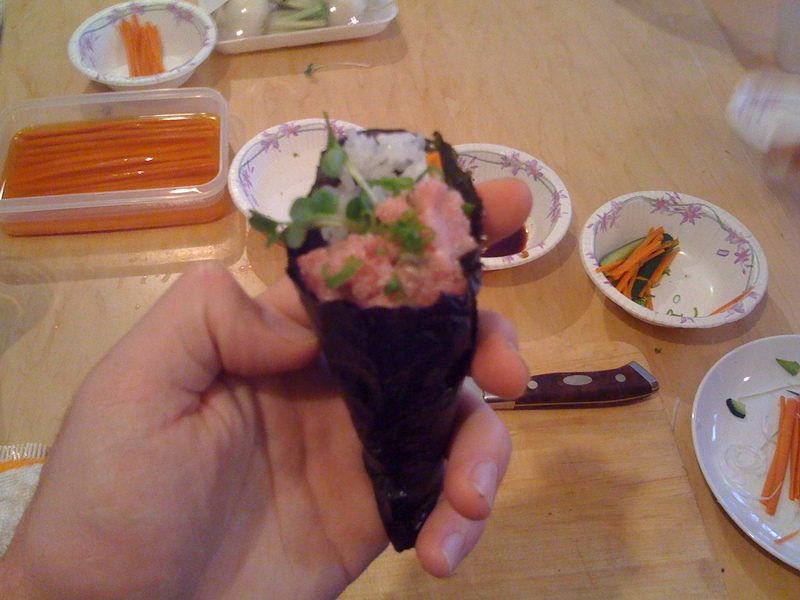 Also, that if I walk into a great sushi restaurant and order a spicy tuna roll then drown it in soy sauce I might as well take the extra time to stomp on the sushi chef’s heart a bit.